Our website has been designed to more accurately reflect our own design work and not stock images of nationally produced arrangements. Browse the “In-Season” category for examples of floral arrangements relative to the time of year, and “Floral Design Collections” for samples of our most popular everyday designs. Oakmont Floral & Design is located in the heart of Oakmont, Pennsylvania. We service Oakmont, Verona, Penn Hills, Fox Chapel, and surrounding communities. Our reputation has been built on consistently providing the highest standards in the floral industry along with prompt and friendly service. We are widely known for consistently beautiful, elegant and classic floral designs as well as one of the most beautiful flower shops in the Western Pennsylvania region. We have a passion for flowers and we look forward to sharing that passion with all our clients present and future. Orders can be placed by contacting our shop at 412-828-5777 during business hours. 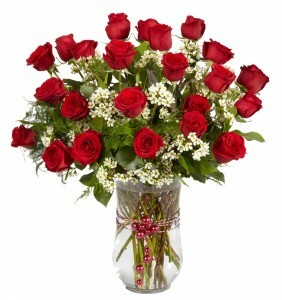 We will be pleased to advise you of exactly what is available for your floral delivery. For same day deliveries within our local serviced areas please call prior to 12:00pm ET. To help assure on-time delivery during the busy holiday season, place your order at least 2 days prior to the following major holidays: Thanksgiving Day, Christmas Day, New Year’s Day, Valentine’s Day, Easter, Administrative Professionals Week, Mother’s Day, Memorial Day, Father’s Day, Independence Day and Labor Day. Our shop will always be closed on the following holidays: Thanksgiving Day, Christmas Day, New Year’s Day, Easter, Mother’s Day, Memorial Day, Father’s Day, Independence Day and Labor Day. Should any of the above mentioned holidays fall on weekend dates, our shop will likely be closed for the duration of the weekend. To ensure we are open and able to accept your order over a holiday weekend, please call us to check our shop schedule before sending.